It was announced on Tuesday that former Toronto Mayor Rob Ford had died at age 46. The AP reported that the family of the ex-mayor of Toronto confirmed he passed away on Tuesday. Ford had been undergoing medical treatment for pleomorphic liposarcoma, a rare form of cancer, which included nine rounds of chemotherapy, according to the CBC. "With heavy hearts and profound sadness, the Ford family announces the passing of their beloved son, brother, husband, and father, Councillor Rob Ford earlier today at the age of 46," his family said in a statement. "A dedicated man of the people, Councillor Ford spent his life serving the citizens of Toronto." Ford was elected mayor of Canada's largest city in 2010, and ran for reelection in 2014 before being forced out the race by health concerns. During his time as Toronto's mayor, Ford developed a reputation as a loose canon, in government but even more so in his personal activities. Multiple times he was caught intoxicated on camera at various public locales. 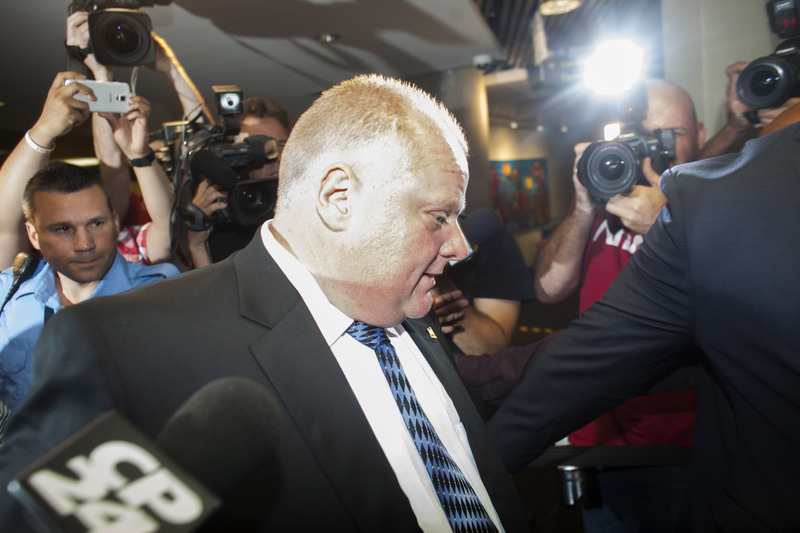 After a 2013 video of Ford appeared to show him smoking crack, there was concern that the then-mayor suffered from a drug problem. He denied having smoked crack in that video, but he did enter rehab the following year. Ford leaves behind his wife, Renata, who he met in high school, and their two children, Doug and Stephanie.